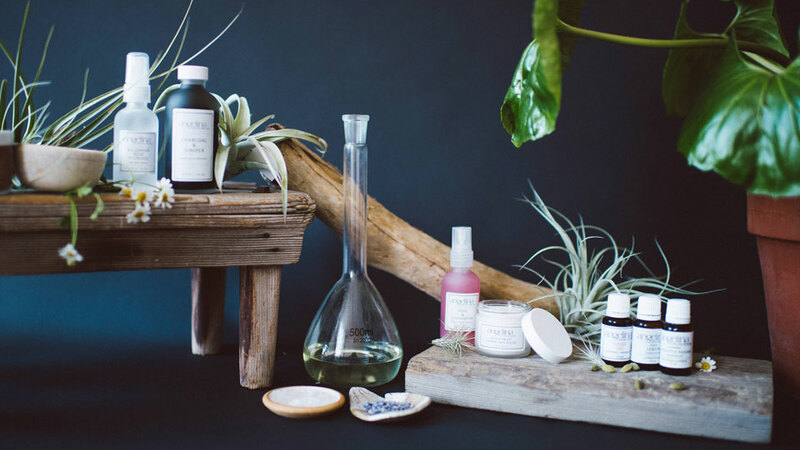 With a retail store downtown, locally based Angelina Organic Skincare is a modern skin care apothecary, a small team of experts creating small-batch natural facial care, bath, body and aromatherapy products to unveil your natural radiance and bring you into a state of balance and healthy vitality. We combine traditional herbal wisdom and cutting-edge plant science to bring you safe, effective and luxuriously sensuous formulas made of the finest plant and mineral ingredients available. We believe in creating beauty from the ground up by supporting small, organic farms and Fair Trade cooperatives, working towards zero-waste production and using (and re-using) eco-friendly packaging. The guiding principle at Angelina Organic Skincare is ahimsa – the yogic practice of non-violence and kindness. Angelina Organic Skincare is dedicated to your health and vitality. In the spirit of love toward all, every product, ingredient, and process is thoughtfully created and chosen to help your body, our communities, and our planet grow and thrive.